In the immediate aftermath of Hurricanes Irma, Jose and Maria’s devastating charges through the Caribbean over the past few weeks, thousands of Canadians found themselves stranded throughout the region, desperate for help. Canadians abroad had no running water, electricity or lines of communication; limited shelter and food; increasing lawlessness; and no apparent way of getting home. Under those conditions, they were understandably seeking any assistance at all to get away from the devastated islands and back to Canada. As the story built, the media was filled with accounts of terrified Canadians feeling abandoned by their government. To make matters worse, not only did some Canadians witness citizens of other countries being airlifted by their military, but purportedly empty seats on those aircraft weren’t made available to Canadians because of an alleged lack of agreement with Ottawa. Eventually, several Canadian military aircraft were dispatched to some of the hardest hit areas, but some travellers and worried friends and families back home felt it was all too late and remain dissatisfied by the government’s reaction. So what exactly should we expect from our government if we run into trouble overseas? First off, we should stress that Canadians weren’t the only ones complaining about their government’s hurricane response. While Canadian travellers watched Dutch and French aircraft evacuating their citizens from some islands, other Dutch and French travellers stranded elsewhere were equally critical of their country’s perceived inactions. The British press were quick to jump on their government’s seemingly inadequate response, while citizens of other nations received no firsthand assistance at all and were left to their own devices—or the efforts of their tour operators—to get them to safety. 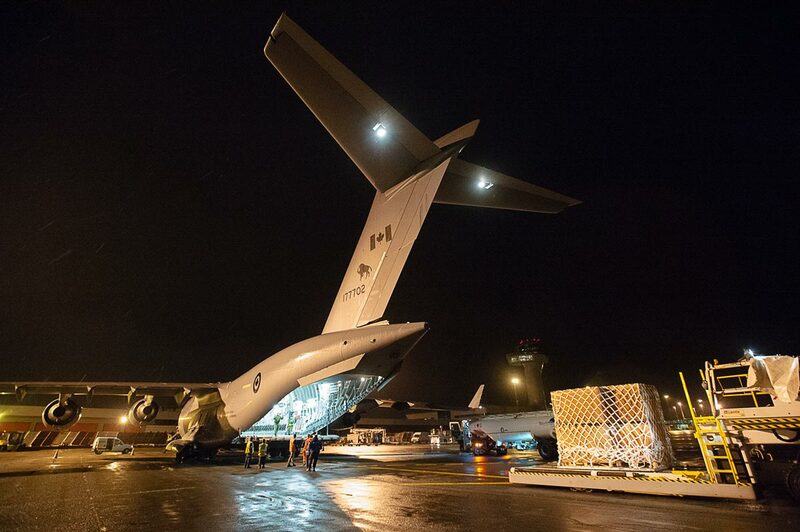 While the government of Canada makes it clear that they will always do their utmost to help all unfortunate Canadians overseas—and do that through a network of consulates, embassies, high commissions and the resources of (the department of) Global Affairs in Ottawa—they also stress there are limits to just what they can do. Assistance with a lost passport, or providing the name of a reliable doctor, or helping with communications with home is one thing—posting bail to get someone out of jail is another. With all that in mind, in the event of a large-scale emergency, the Canadian government will do its best to communicate with all known Canadians in the area, either directly or via social media, email or its website. This communication will not only include practical advice and recommendations on staying safe, but can also provide details of any planned evacuations. It is for this reason that it’s always so important to register with Global Affairs before heading anywhere outside of Canada. Behind the scenes, the government may work with Canadian airlines or tour operators to facilitate the return of flights, or with local authorities to try and assist Canadians. They do however, caution that any help they can provide is dependent on local conditions, and that if there’s violence, political instability or massive damage to a country’s infrastructure, there’s little likelihood that Global Affairs will be able to do anything at all—at least until things have stabilized. It should also be remembered that in the event of a massive natural disaster, the staff of the nearest Canadian embassy or consulate is likely to be suffering from the same dangers and deprivations as any traveller. That will certainly have a negative impact on any assistance they can provide. If the Canadian government does evacuate someone—either themselves, or with the assistance of customary allies such as Australia, New Zealand, the United Kingdom or the United States—the traveller will receive a hefty bill payable within 30 days. And, when airlifted by the military or a third party, travellers are often not permitted to bring any luggage with them. In short: while the Canadian government can be depended upon to do what it can to assist Canadians in need anywhere in the world and at any time, a traveller’s best hope of getting home during or after a massive disaster is often by themselves, or through their travel insurance company, or via contact with family and friends in Canada, or through the airline or tour operator that originally took them to the destination.